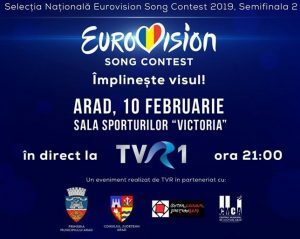 Tune in tonight starting 21:00 ( romanian time ) for the seccond Semifinal from Selectia Nationala, LIVE from the beautiful city of ARAD. The show will be broadcasted on TVR1, TVRHD, TVR International and TVR Moldova. The interval act will be the italian singer Alessandro Canino and the italian band Hit Italy. 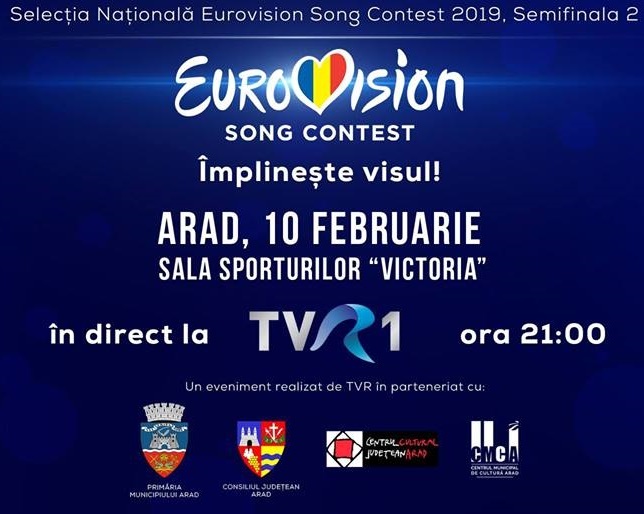 The jury : Mugurel Vrabete, Mihai Georgescu (Miță), Crina Mardare, Adi Cristescu and Andy Platon will choose 5 songs for the final, and the televonting will decide the 6th.